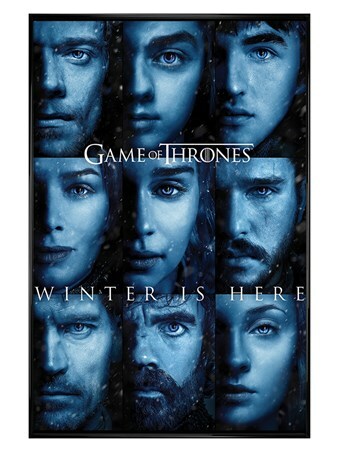 The winds of winter have reached Westeros, bringing much more than ice and snow in it's wake...but will it be the King In The North or The Mother Of Dragons, who will defeat the oncoming threat? 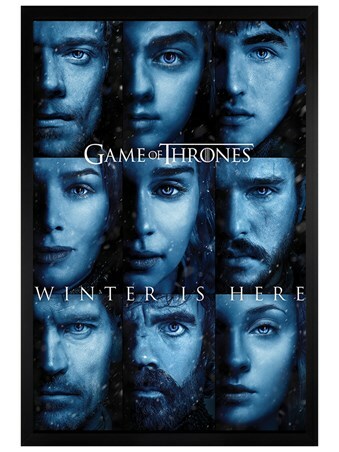 Featuring the pale blue faces of Theon, Arya, Bran, Cersei, Daenerys, Jon, Jaime, Tyrion and Sansa, this epic poster from the award winning saga, Game Of Thrones, is the ultimate gift for any GOT fanatic! 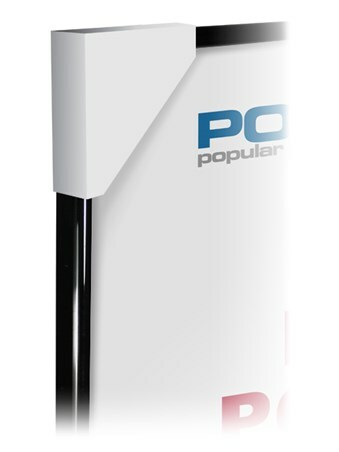 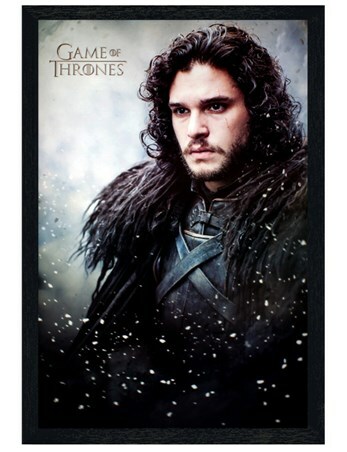 Complete with a 61cm x 91.5cm gloss black frame, fronted with transparent Perspex and ready to hang in your home. 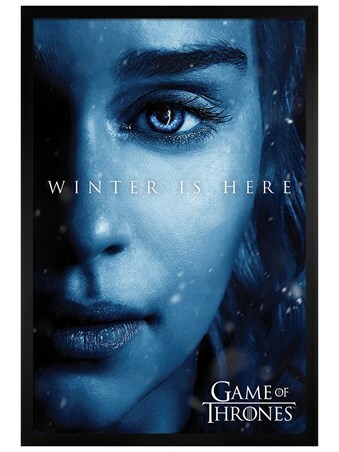 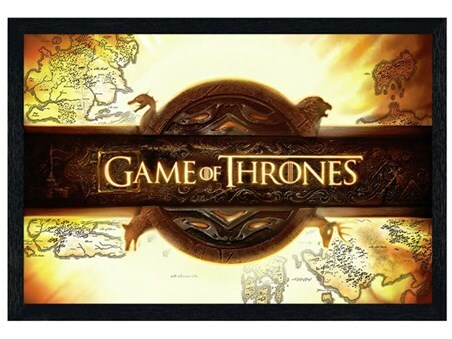 High quality, framed Gloss Black Framed Winter is Here, Game Of Thrones framed poster with a bespoke frame by our custom framing service.